Every year hundreds of walkers place themselves in the hands of Mary Welsh. Meet her and it isn't hard to see why,' says Cumbria Life magazine. 'A 60-something, she's enthusiastic, imperturbable and, above all, considerate, someone you would happily rely on'. Mary is a travel writer and an award-winning writer of walking books, having produced more that 40 walking guides. She writes regular columns in magazines and newspapers and for the internet. 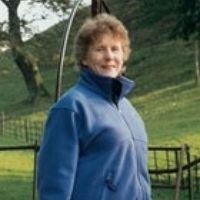 She has lived in the north of England for nearly 30 years, after a childhood spent in rural Hertfordshire where she was educated and after which she went on to take a degree in biology in London. Lancashire has provided her with some magnificent countryside and wonderful hidden corners to enjoy, where the noise of modern-day life does not impinge, and she hopes that you too will appreciate its many unexpected pleasures. Sadly Mary died in early 2017.